If you need to shuffle kids around all day, then you not only need space in the backseat, but you need room in the trunk for groceries, backpacks, camping gear, and anything else you lug around. Of course, interior and cargo room are not your only concerns. Family vehicles must be safe. They need airbags in all the right places and innovative features. A peppy engine is appreciated so you don’t have to grip the steering wheel with white knuckles every time you merge and pass on the highway. If the vehicle manages to give you the power you need without guzzling gas, this is an added bonus too. All these needs add up to one tall order, but rest-assured that there are vehicles available that fit the description. Below are seven that are either new or have seen a significant refresh in the past two years. 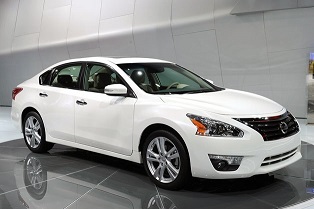 Fully resigned for 2013, the Nissan Altima Sedan is a popular pick with families for a long list of reasons. In government crash test ratings it received a perfect score in front, side, and overall crash protection. The 2.5 model gets a 2.5-liter four-cylinder that delivers 182 horsepower and 180 pound-feet of torque, so it has plenty of get-up-and-go. It also manages to return 27 mpg in the city and 38 mpg on the highway. If you need a little more power, a 3.5-liter V6 is available that yields 25 mpg combined. Inside, there is plenty of space. The rear seat is a little tight for six-foot passengers, but for kids it is just fine. There is also plenty of room in the trunk, as it gives you 15.4 cubic feet of cargo space. 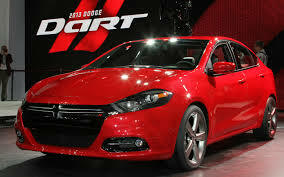 If you are on a budget as most families are, you really can’t go wrong with the Dodge Dart. This brand new vehicle has a lot to offer, and has a starting MSRP of only $15,995. The standard 160 horsepower 2.0-liter four-cylinder won’t win you any races, but at 24 mpg in the city and 34 mpg on the highway with a six-speed automatic transmission, you can hardly complain. When tested by the Insurance Institute for Highway Safety, it received a “Good” rating in front, roof, and side-impact protection, and it can stop from 60 mph in 118 feet, which is one of the best numbers in the segment. Don’t let the exterior fool you; there is a ton of room in this cabin. In fact, it has one of the most welcoming rear seats in its class. Trunk space is average at 13.1 cubic feet. 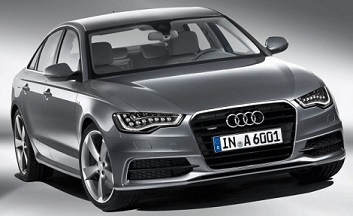 If you don’t mind spending a little more than the average buyer, the Audi A6 offers a nice all-wheel drive option. It was fully redesigned for 2012 into a vehicle that proves you don’t have to choose between sport and luxury. The base engine is a 2.0-liter inline-4 that delivers 211 horsepower and 258 pound-feet of torque, yet yields 28 mpg combined. As far as safety goes, it received top scores on all crash tests, and it can stop from 60 mph in only 111 feet. It also boasts some very innovative safety features, including the optional Audi Pre-Sense Plus System that can activate the brakes, if the system feels a crash is imminent. 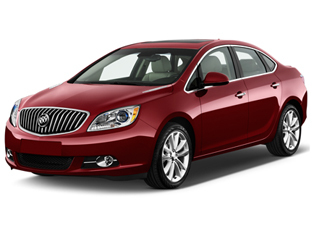 Despite its upscale exterior and sophisticated passenger cabin, Verano is priced rather modestly. It received a “Good” rating in all three crash tests, and comes equipped with OnStar for peace-of-mind. Although a small sedan, occupants never feel pinched for space. There is even plenty of room for extra-tall drivers. In the rear, three decent-sized adults can sit comfortably, so children will have plenty of space to stretch out. The trunk is even generous at 15.2 cubes. The base engine in Verano is a 2.4-liter four-cylinder good for 180 horsepower and 170 pound-feet of torque. It returns 21 mpg in the city and 32 mpg on the highway. A turbocharged engine is also available. 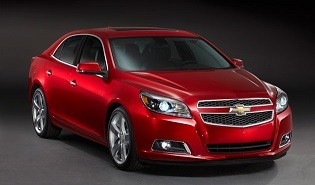 For 2013, the Malibu has been completely redesigned, and it is definitely turning heads on the road. The 2.5-liter four-cylinder generates 197 horsepower and 191 pound-feet of torque while yielding 22 mpg in the city and 34 mpg on the highway. Like the others listed, Malibu also boasts “Good” crash test ratings. When it comes to braking, it is ahead of most of its competition, stopping from 60 mph in a short 119 feet. OnStar emergency communications is standard, as are rear side airbags. The cabin is every bit as nice as what you get in luxury models, and not only is there plenty of room in the rear seat, the trunk is an enormous 16.3 cubic feet. 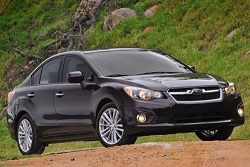 A full redesign was given to Impreza for 2012, and since it comes as sedan and hatchback, it should appeal to just about anyone. It is powered by a 2.0-liter boxer four-cylinder good for 148 horsepower and 145 pound-feet of torque. The engine is also available wearing the Partial Zero Emissions Vehicle certification label, making it ideal for those needing to meet California emissions standards. It gets perfect crash test scores, has a spacious interior, and if you opt for the hatchback, you get 22.5 cubes of space. 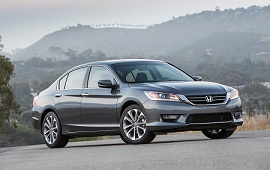 Fully redesigned for 2013, Honda Accord offers efficient powertrains, fantastic acceleration, a roomy and attractive interior, and fantastic fuel economy. The available LaneWatch blind-spot system available on higher trims is worthy of an honorable mention. The cabin is significantly quieter than its predecessor, and the trunk is 15.8 cubic-feet, which is 1 cube larger than what was in the 2012 model. The standard 2.4-liter inline-4 is all you really need, providing 185 horsepower and 181 pound-feet of torque, and fuel economy is smile-worthy at 27 mpg in the city and 26 mpg on the highway.